This is our display from Morden Park Country Fair earlier this spring. 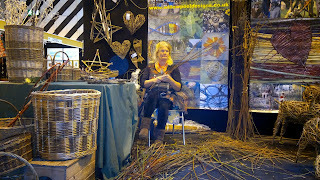 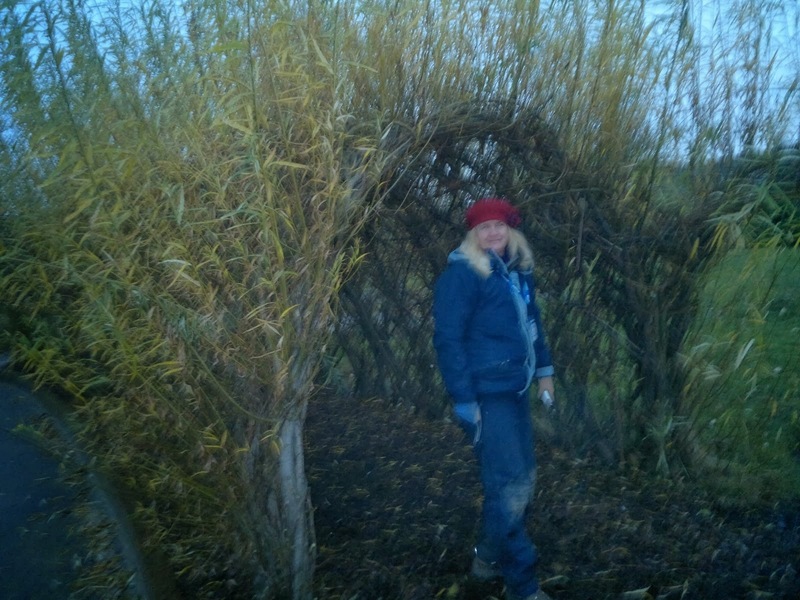 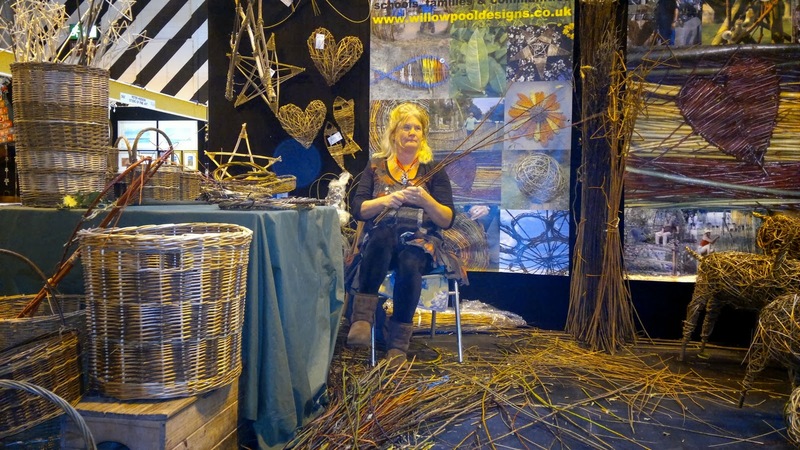 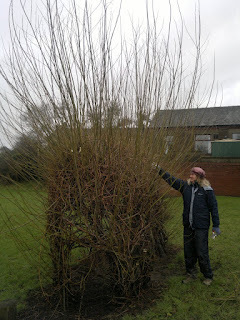 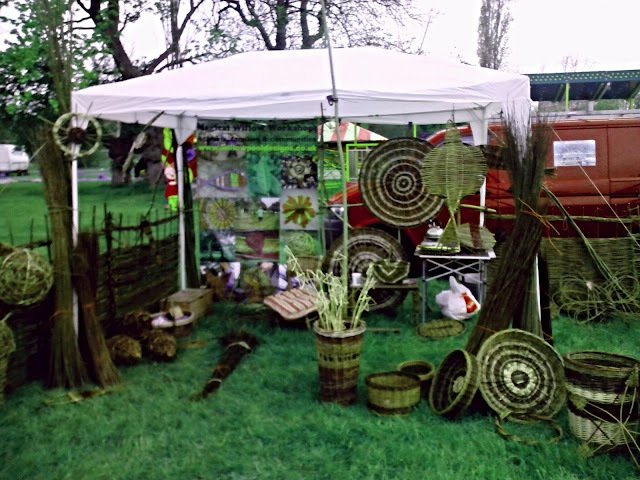 We met a local teacher and worked at her school yesterday after starting our willow display at the garden festival. 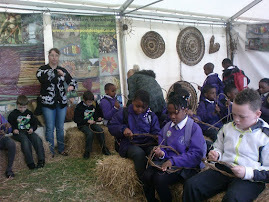 We go back down to Hampton Court on Friday and will be there until the show finishes 7 days later. 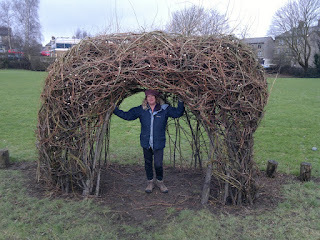 We are camping so hope the weather stays fine! 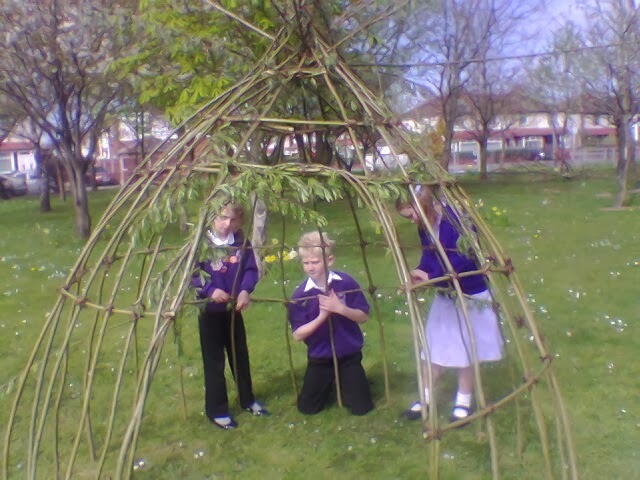 we are now taking bookings for school art projects, great or small. 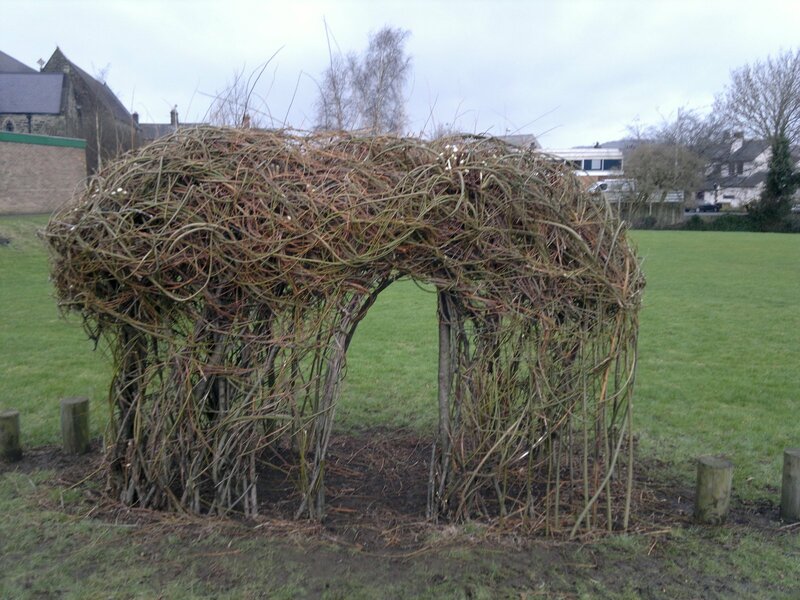 we can work with any age group and can create projects that involve the whole school on large sculptures or smaller groups or classes to make individual sculptures for display in classrooms or school gardens. 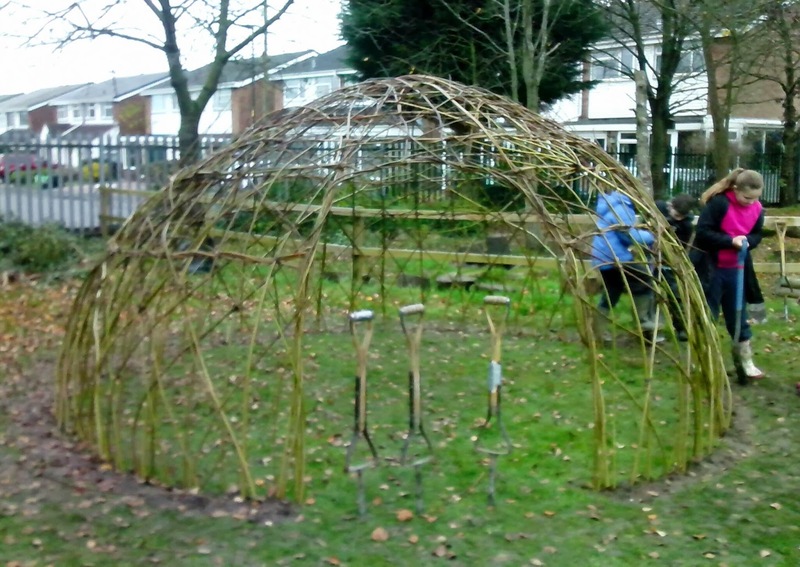 we can work with up to groups of 30 children at a session, often with the children working in pairs to make large structures or animals. 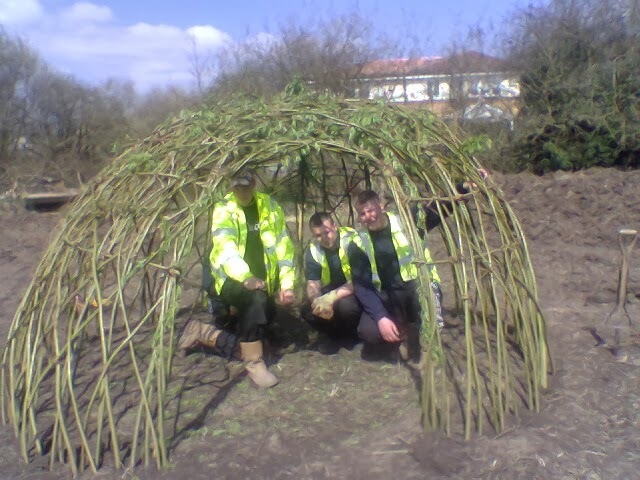 all we require is an indoor space for groups to work in if the weather is cold or wet. look at our photo galleries to see what can be created by enthusiastic children! we had a nice week working in 2 very different primary schools last week. 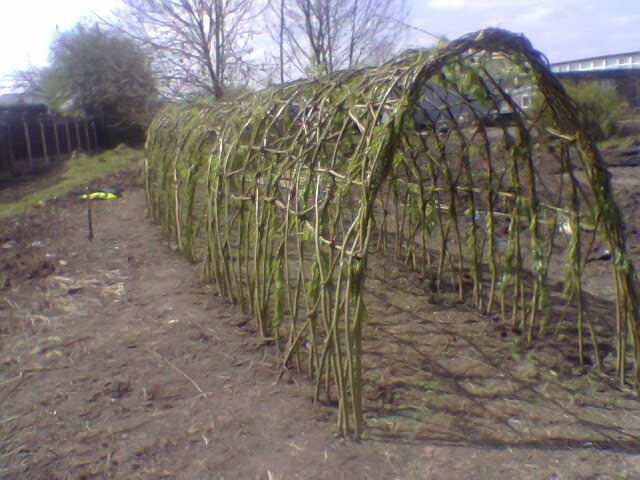 2 days at each one. 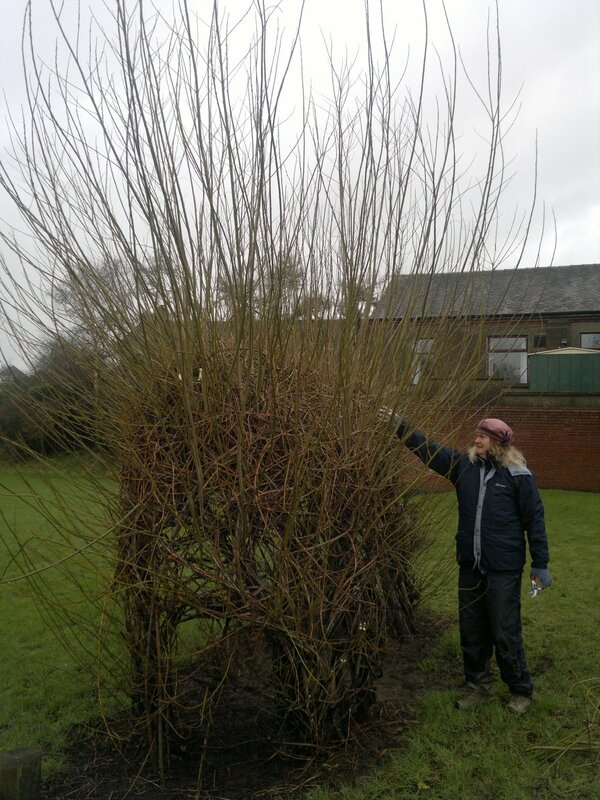 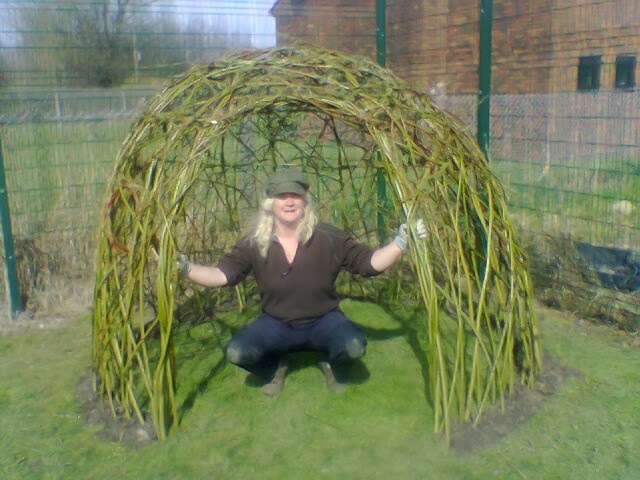 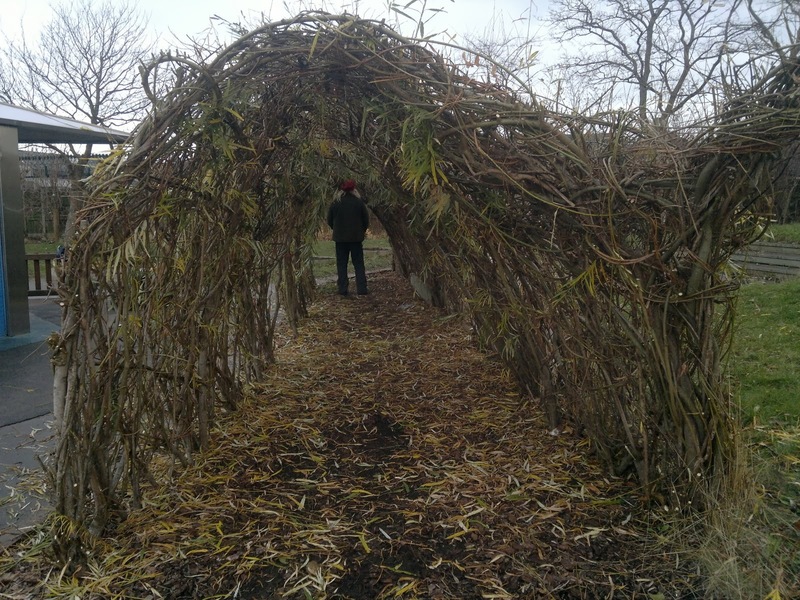 We created a lovely living willow dome and tunnel at a school in Warrington. 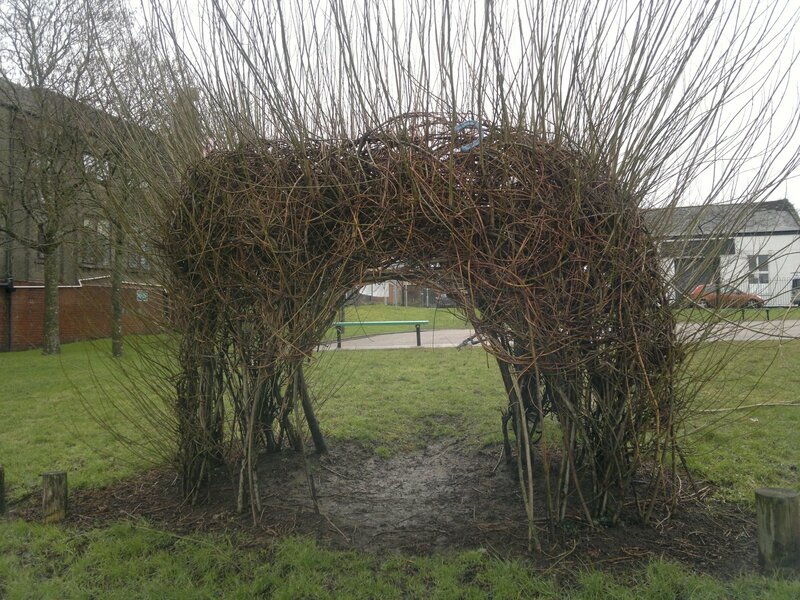 Then we moved on to Birmingham to an inner city school where we worked on willow sculptures with all the children of Year 3. we made a giant sun, birds, wands and a deer.